Fentanyl is part of the opioid class of prescription medications. Used to treat chronic, severe pain, Fentanyl comes in a patch form. The drug is absorbed via the patient’s skin and makes its way into the bloodstream, where it crosses the blood-brain barrier and binds to opioid receptors. Once this happens, the patient experiences a euphoric feeling and their pain symptoms are masked for the duration of the patch. Unfortunately, Fentanyl, like every other opioid drug in existence, is incredibly addictive. The euphoric feeling the patient experiences can quickly fade after the first few recommended doses. Patients will sometimes find themselves trying to overcome their tolerance, and will increase their dose of Fentanyl against doctor’s orders. Also, patients may abuse alcohol or take another prescription drug which interferes with the Fentanyl. All of these actions significantly increase the risk of overdose and death. Opioid overdose deaths in the United States have quintupled since the early 2000s. The addiction has reached epidemic proportions, and government bodies have declared it a national emergency. Nearly every town in the country has been touched in some way by the opioid epidemic, and Fentanyl overdose deaths have risen dramatically in recent years. Since 2016, prescription Fentanyl has contributed to more opioid deaths than any other prescription opioid. Addictions to opioid derivatives are some of the most deadly and intense. Cravings can last for years after the last cessation. Without understanding their triggers and learning to cope with physical and emotional stressors, people can relapse. Without help from doctors and therapists, patients can struggle with Fentanyl and opioid addiction for years, risking their health, finances, and life. Fortunately, there are resources available for people struggling with a Fentanyl addiction. Medical detox centers are proven to help people get and stay on a path of sobriety. 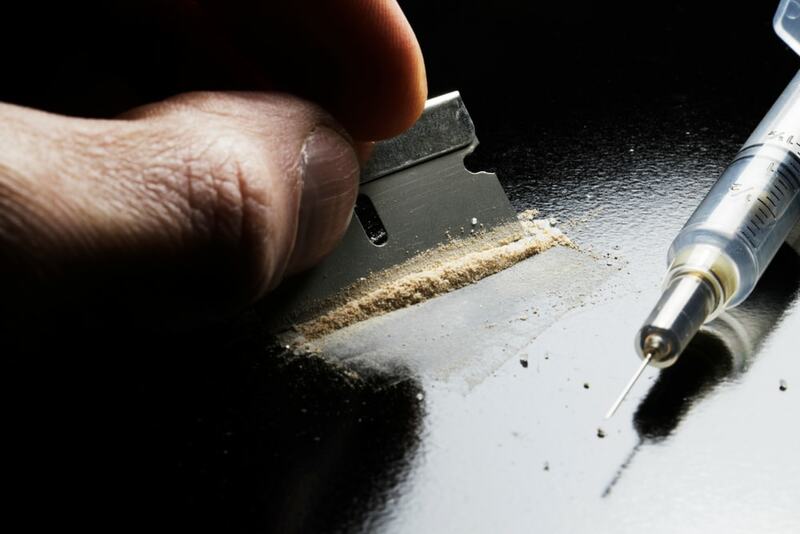 What is the timeline for Fentanyl withdrawal? The withdrawal timeline varies by individual, but generally, symptoms can begin in as little as 12 to 24 hours after the last dose. Peak withdrawal symptoms will occur within 48 hours, lingering for up to a week. However, post-acute withdrawal symptoms are common and can remain for months or years after cessation. While physical symptoms subside within a week, emotional symptoms like depression, anxiety, and cravings can easily turn post-acute. It’s crucial for those in recovery from an opioid addiction to receive ongoing help and maintenance from trained doctors. Replacement drugs like methadone are incredibly effective at alleviating post-acute withdrawal cravings. What are the physical symptoms and risks of withdrawal? What emotional issues can occur during the withdrawal process? Is it safe to go cold turkey or should someone always go to medical detox? It’s not safe to go cold turkey with Fentanyl. The drug will lower a person’s respiratory rate, heart rate, and blood pressure. If the drug is suddenly stopped, these systems can go haywire. People can experience a sudden increase in blood pressure, which can lead to strokes or heart attacks. Also, Fentanyl withdrawals come with a host of long-lasting emotional issues. Without assistance, people who try to quit cold turkey can experience dangerous side effects and are at increased risk of relapse and harm. Medical detox is always recommended for drugs like Fentanyl. Doctors can get patients on a weaning off schedule, where they are given ever-decreasing doses of Fentanyl. Or, doctors can completely replace the drug with methadone. Giving the body time to wean off an opioid will lessen the severity and duration of withdrawal symptoms. It is safe for patients to take replacement Fentanyl during detox. Beta blockers, short-term sleep aids, and antidepressants are all safe for detox. It’s not safe for someone to detox without help. Fentanyl withdrawals are painful and potentially dangerous. Also, people undergoing detox from Fentanyl should not consume caffeine. What does the withdrawal process for Fentanyl look like? When attending medical detox, patients are first assessed for physical and mental health issues. They are also evaluated for polydrug use and any underlying physical problems which may interfere with or worsen the detox process. Patients are also assigned a group of dedicated doctors, therapists, and social workers. This team of advocates works closely with the patient to help them during the withdrawal process, and beyond. Ongoing maintenance plans are custom-made for the individual, helping them learn ways to adjust to life without drugs. Without ongoing support, patients can quickly relapse and risk their lives. How does Fentanyl withdrawal differ from other opioid drugs? Unlike other opioid drugs, Fentanyl comes in an extended release form. What this means is that the drug is slowly released into the bloodstream and lingers for a longer time in the body. Once someone quits, Fentanyl may take a lot longer to reach its half-life, meaning withdrawal symptoms can take longer to show up. Regardless of which opioid drug a person is addicted to, all can be helped with assistance from a medical detox center. What individual factors affect the withdrawal process and timeline? Everyone is different. Drug abuse and withdrawal will present in different ways for different people. A person’s age, weight, metabolic rate, and overall health can influence the withdrawal timeline. Also, if a person is a polydrug abuser or has used Fentanyl for a long time, they may experience more intense symptoms or longer-lasting symptoms. Despite these factors, anyone can get help for a Fentanyl addiction. Medical detox and rehab centers are staffed with knowledgeable, caring professionals who understand that addiction is a disease, not a character flaw. With help from proven medical treatment and therapy regimens, patients can go on to live a life of sobriety.